Hello fellow traders. 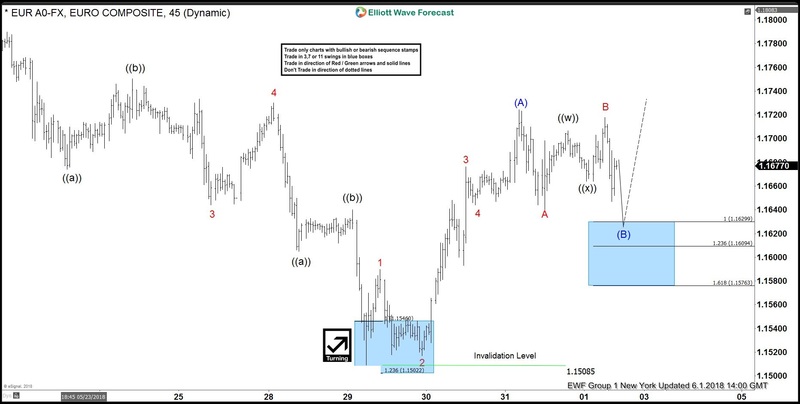 In this technical blog we’re going to take a quick look at the past Elliott Wave charts of EURUSD published in members area of the website. As our members know February cycle has ended at 1.15085 low and now we’re getting larger recovery in the pair. 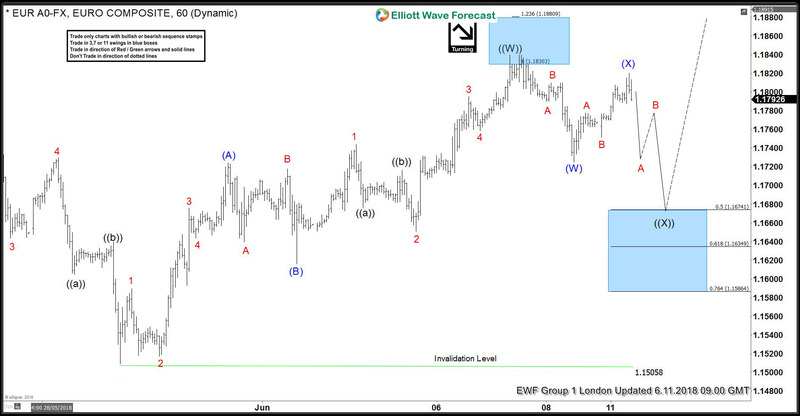 In further text we’re going to explain the forecast and Elliott Wave analysis. As we can see on the chart below , short term cycle from the 1.15085 low has ended as 5 waves structure. We have labeled it as wave (A) blue,assuming that’s first leg of Elliott Wave ZIG ZAG pattern. 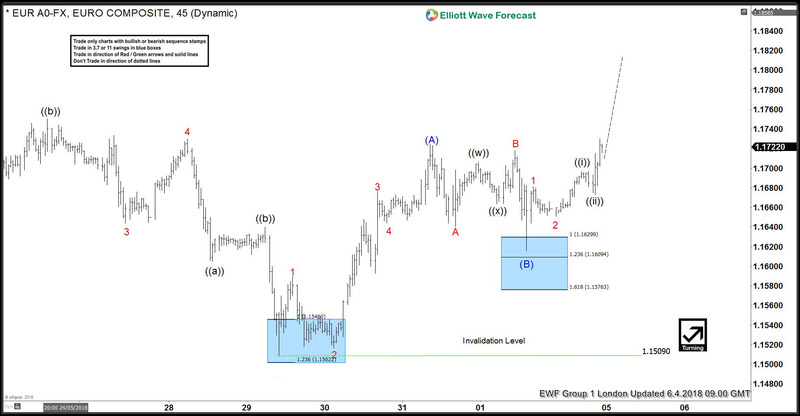 Currently the pair is giving us wave (B) pull back that has scope to reach 1.16299-1.16094 area (blue box) . Once the pair reaches mentioned area it should ideally find buyers for wave (C) . As soon as we get reaction from the blue box, we’re going to measure equal legs (A)-(B) to get target for the wave (C) leg where ZIG ZAG pattern should ideally complete. The pair has found buyers and we’re getting nice reaction from the blue box. The price is about to break above (A) blue peak which will confirm that next leg higher wave (C) is in progress. The pair is now targeting (C)=(A) – (A)*1.236 fib ext area at 1.1830-1.1880 to complete proposed ZIG ZAG pattern. The pair has resumed trading higher and reached equal legs at 1.1830-1.1880 area. Now buyers are taking profits and we’re getting pull back against the 1.1505 low. As far as the price holds below ((W)) black high, proposed pull back has chance to make double toward 1.1674 -1.1634 area ( 50-61.8 fibs zone). There it can find buyers for further rally or 3 wave bounce at least. Note: Market is dynamic and view could have changed in the mean time. Not every chart is Trading Signal. Best instruments to trade are those having incomplete bullish or bearish swings sequences. 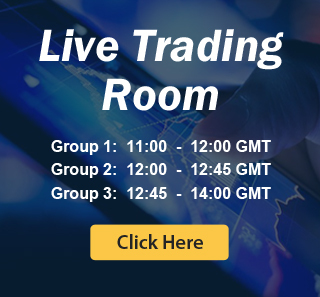 We put them in Sequence Report and best among them are shown in the Live Trading Room.